A power failure at Dadar station has caused trains on the Western Line of the Mumbai suburban network to come to a halt. The Western Railway of the Mumbai suburban network came to a halt after someone stole a battery box at the Mahim Electric Sub Station, the Western Railway PRO has confirmed. At about 12:20 pm, the Western Railways tweeted: OHE problem has been rectified and charged, and trains are likely to resume in 10 minutes. The trains are now running, WR has said in another update. “Traffic on Down slow started at 12.18 hrs. 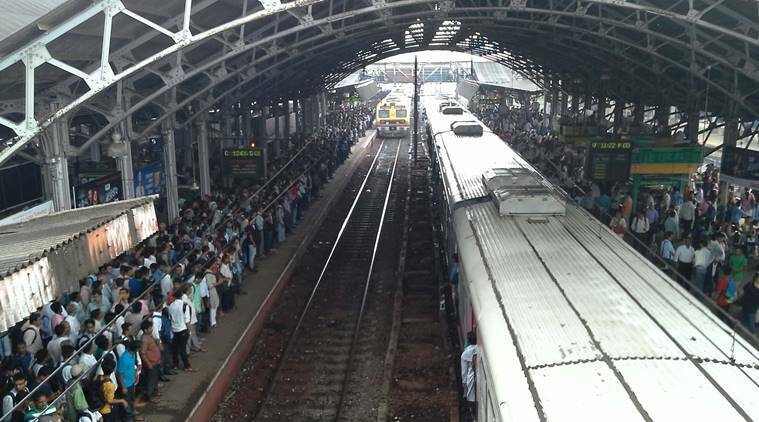 All four lines resumed at Dadar at 12.23 hrs,” WR said. Slow trains heading towards Churchgate have now resumed, though crowded. Fast trains are skipping Goregaon and heading towards Andheri. Bandra-bound trains, however, have resumed. Passengers are also boarding the harbour line and alighting at Mahim, so as to avoid the Western Line stretch. “There’s no train from Churchgate as of now for a while. Efforts are on for restoration,” Western Railways PRO said. Revised message pls It is found tat problm hs occurred due to theft of battery Box at Mahin Elec Sub St. Efforts on for early restoration. The WR PRO had earlier cited the issue as a technical glitch. “A technical glitch in OHE Circuit is the problem, it’s likely to be rectified within next 15 minutes after which services will resume, an official had said.